Berkshire Hathaway, the Warren Buffett investment company, has been getting in on the FinTech market, investing hundreds of millions of dollars during the past few months. 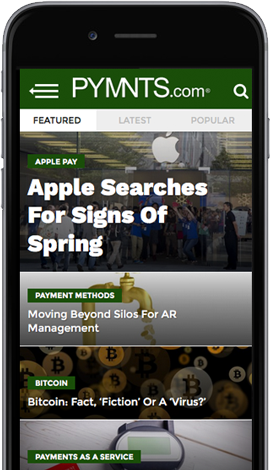 The Wall Street Journal, citing the company, reported that during the past few months, Berkshire has invested roughly $600 million in StoneCo, the Brazilian payment processor and Paytm’s parent company. Paytm is India’s biggest digital payments company. According to the report, the investments were prompted by Todd Combs, a portfolio manager at Berkshire. The FinTech investments are a departure for Berkshire Hathaway, which is known for investing in blue-chip companies such as Coca-Cola, insurance companies and utilities, with most of its revenue generated in the U.S. Berkshire has historically shied away from technology investments, because Buffet said it was out of its area of expertise, noted the paper. In August, Berkshire acquired a $300 million stake in Paytm, and earlier this month acquired shares of Stone via its initial public offering (IPO). The two dominate their local markets and are operating in regulated industries, two characteristics the famed investment firm typically looks for when making investments. Stone is the fourth biggest payment processor in Brazil based on volume, while Paytm has more than 300 million users, which is more than PayPal Holdings. The investments in the mobile payment companies also underscore the fact that the financial technology industry is starting to mature. It is now a sector with $35 billion in venture capital flowing its way as of the first nine months of this year, noted The WSJ, citing data from Dow Jones VentureSource. In addition to the Stone and Paytm deals, Combs was behind Berkshire’s involvement in the project with JPMorgan Chase and Amazon to lower the companies’ healthcare costs.